This is the first part of a two-part series by Andrei Lankov on a recent trip to Vladivostok. Since the late 1990s North Korean workers – poorly dressed, hard-working and quiet – have been a part of life in Vladivostok, Russia’s easternmost major city, located just few hours drive from the border of the DPRK. 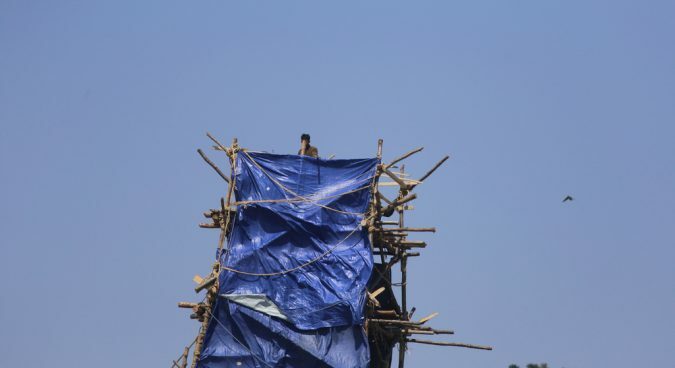 Technically, North Korean workers have been present in the region since 1946, but prior to the late 1990s they were loggers and typically lived in isolated forest camps far away from civilization. This system means that North Koreans are allowed to set up teams, sometimes consisting of merely two or three people, and which enjoy a remarkable level of autonomy. These workers (or their leader) negotiate conditions with Russian employers, find suitable accommodation, and arrange their own life. The only thing which is expected by their superiors is that they pay a fixed amount of money (currently, $500-900 a month) to be directed into state coffers. This model is especially common in Russia’s Far East regions. 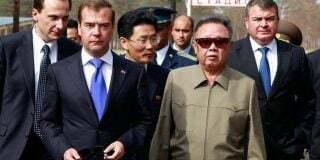 The initial emergence of North Korean workers was good news for the Russian Far East in the early 2000s. This was when Russia began to emerge from some 15 years of crisis caused by the collapse of the Soviet communism. Life began to improve, incomes were rising fast, and many people decided it was the time for home renovation – or, perhaps, even building a new house. This was work the North Koreans were happy to take. Sometimes they were hired by small construction and interior design companies, but frequently they were employed by individuals who simply wanted some work done – a housewife who needed to repair a leaking roof, or a young professional who wanted to re-design their house according to the latest fashion. The North Koreans do all kinds of work, but their major specialization is plastering and interior decoration. So what do the Russians employers think of North Koreans? Having recently spent some time in Vladivostok, where it was possible to meet up to a dozen people who recently employed North Koreans, I can answer this question. The Internet is sometimes useful as well – locals often go online to discuss the advantages and disadvantages of hiring North Koreans. First of all, one should understand local circumstances. In addition to the North Koreans, in Russia’s Far East nowadays local construction businesses (and individuals with work to be done) usually deal with four distinct groups of workers. First, there are work teams which are called “Russian” or “Slavonic” – the later name might be more precise since some of these teams are local, while others come from Ukraine. Second, there are migrant workers from Uzbekistan, Tajikistan, and other ex-Soviet states in the Central Asia. Third, there are some Chinese and Vietnamese teams, though in recent years the Vietnamese almost completely left the business and usually work as sales person in the Chinese-owned shops at local markets. And, finally, there are the North Korean teams. 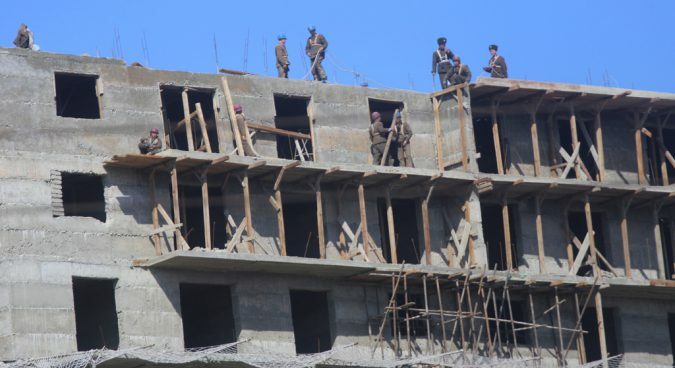 Compared to other groups of small-scale construction workers, the North Koreans are generally seen by the Russian employers as the best. The majority opinion was that North Koreans presented the most preferable option of all four above-mentioned groups, at least from the value-for-money point of view. The North Koreans are believed to be diligent, responsible, and hard-working, willing and even eager to work extra hours and skip days off in order to finish projects as soon as possible (normally, they are paid for work done and/or projects completed, hence the zeal). Negative remarks were also present, but clearly constituted a minority view. 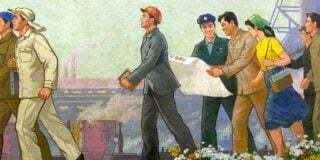 There is one complaint, however, which appears to be pretty common and was aired by nearly everybody with relevant experience with whom I spoke in Vladivostok: the North Korean workers are known for their tendency to sacrifice quality for speed. 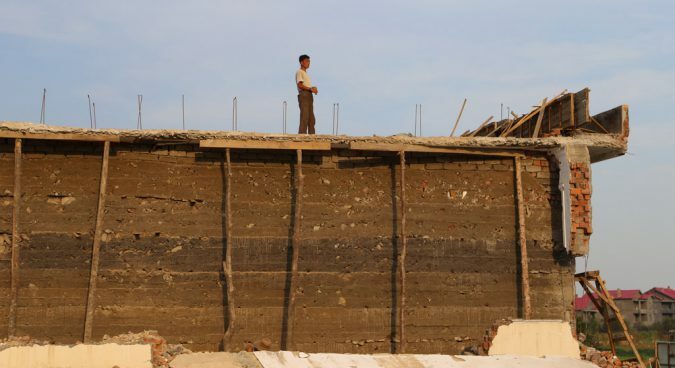 In some cases the workers, eager to finish one project in order to rush to a new site, even ignore vital technological demands – for example, they do not wait long enough for freshly laid cement to solidify. The reason is simple: they are paid for the amount of completed work, and they are also under constant pressure to make the required (and very burdensome) contributions to the state budget, so they have to work hard and fast. Another problem with the North Korean workers which, as I was told emerged around 2010, is the lack of expertise among new arrivals. He admitted that the North Koreans are quick learners, and most learn the necessary skills fast, but, still, new arrivals are seen as problematic and to be avoided whenever possible. Comparing to other groups of workers, North Koreans charge modest prices. As a rule, a North Korean team expect to be paid more than a team of Central Asians doing the same work, but their fees are lower than the fees usually charged by “Slavonic” teams. The gap used to be large, but the North Koreans’ fees have increased in recent years significantly, so in some cases they are not different from the fees demanded by the Russians of the same skills level. The North Koreans are also known to give huge discounts if the volume of work is really large. At the same time, it is widely believed that the quality of North Koreans’ work is superior. Russia is not known for political correctness. 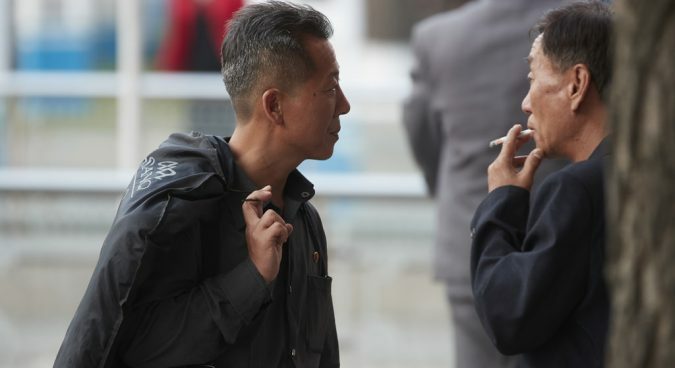 While favorably comparing the North Korean workers to the Central Asians, they emphasize that North Koreans are preferable because they are unlikely to be involved with terrorism, and are generally known to be law-abiding and non-violent. Two of my interlocutors (neither of them ethnic Russians, incidentally) made very similar remarks. Vladivostok girls are not afraid when they see a group of North Koreans on the street at night, they say, while it is prudent to avoid a group of Central Asians (or some Russians) in such an environment. A search of Russian Internet blogs produces a number of similar observations, mostly made by people who have had first-hand experience with the North Korean workers. 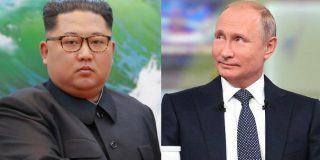 It is understandable that North Koreans avoid interaction with Russians, and never talk politics – at least when they are afraid of being overheard. However, even my rather small sample of former employers suggested that North Koreans feel less constrained when they are unlikely to be heard. One of my contacts recently hired a North Korean to do some home renovation. The worker was efficient, and got things done fast. However, every day he had an hour of rest after lunch, and spent this hour watching South Korean films his employer specially downloaded for him. A more striking incident happened to one of my acquaintances few years ago when he hired a North Korean worker to do some repairs at a countryside house. When sober, of course, he kept his political opinions to himself. This combination of high labor culture and docility is predictably welcomed by their employers, while North Korean workers’ tendency to keep to themselves and avoid any interaction with the criminal underworld is much appreciated by their short-term neighbors. However, it seems that most of what was said above should be re-written in the past tense. Due to sanctions, the North Korean workers are leaving Russia. To the great annoyance of authorities, businesses, and common people, they are being sent home in large numbers, and it is expected that by the end of 2019 there will be none left. It seems that this chapter in the long and convoluted history of interactions between Russia and Korea is about to be closed. This is the first part of a two-part series by Andrei Lankov on a recent trip to Vladivostok. Since the late 1990s North Korean workers – poorly dressed, hard-working and quiet – have been a part of life in Vladivostok, Russia’s easternmost major city, located just few hours drive from the border of the DPRK. Subscribe to read the remaining 1776 words of this article.